It improves your complexion, heals scars, relieves many skin ailments, leaves your hair with a lustrous sheen, and more. 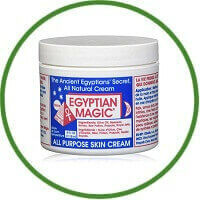 All Purpose Skin Cream is a phenomenal healing balm with legendary powers. You’ll save time, money, energy and space – in your shower, purse, or suitcase.